Are you tired of trash? In our house, we sure were; especially around holiday times when the trash bin seemed close to over-filled. Many homes already recycle plastics, metals and paper(though we can all do better it seems). The problem for many households is the perception of extra effort to reduce waste. One area that’s becoming increasingly easier to reduce waste though, is the compostable stuff like food scraps, paper products and more. If you are curious but not yet sure about how to make this part of your household, read on! 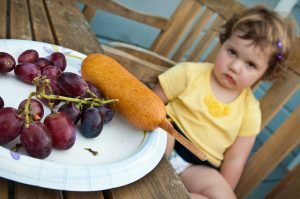 As the parent of a toddler, I am keenly aware of the pieces of toast that get left unfinished, or remains of dinner that wouldn’t be wise for the parents to finish (dessert is a different story!). In addition to these, things like coffee grounds and filters, napkins, vegetable cuttings, bones and more routinely go into the trash, but they don’t HAVE to. With some forethought, you would be surprised how much your trash bag can shrink! As a Minnesota Homeowner, we’re usually due for a formidable cold spell at least once a winter. Homeowners are sometimes caught off guard by this, whether through procrastination or just a busy life. There’s a lot of preventive maintenance that can help if you took your time earlier in the season, but now that we’re into the cold, your best plan is to lessen the chance of damage due to the cold. There are two areas of concern for most homeowners; water pipes, and maintaining heat. These overlap a bit, but I wanted to share some tips you can do RIGHT NOW to protect your home over the next few days. Take a look at this video, and read my comments below. If you have further questions, always feel free to contact me! If your furnace has been recently inspected and cleaned (since the start of the heating season), you’re likely in good shape. Here are some other items to address. Replace your furnace filter. Air running through a dirty filter puts extra stress on the system, which could result in failure of a component. Set your thermostat to a setting and push the HOLD button. If you use a programmable thermostat, you can gain piece of mind by bumping the temp a few degrees while you are away or asleep. Ensure that the PVC pipe from the exterior of the house is unobstructed. If you have a High Efficiency Furnace, make sure that no snow or other obstructions block the air intake to the furnace from outside the house. Resist the urge to jack up the temperature when you’re around the house. Your HVAC system can only maintain a certain temperature differential – you might be chilled, but turning the furnace up could add undue stress on the unit that could have to work longer intervals to keep the house at your desired temperature. It is a good idea to raise the temp by 2-4 degrees, but in any case, your furnace may not keep the house at your desired temperature. Cozy up in a blanket or make a cup of tea! Open doors throughout the house. It might seem easier to shut the rooms you aren’t using, but keeping the house one temperature (especially rooms adjacent to plumbing) prevents any part of the house getting too cold. Turn ceiling fans on (low) and switch them to the winter setting. Allowing air to circulate will help keep the room temp more even and disburse warm air that naturally rises to other parts of the room. Open Sink Doors to allow air to flow under sinks (especially useful on outside perimeter walls). Just like the room doors above, allowing air circulation is key to keeping things warm. Run faucets slightly open and dripping. If you pay the water bill, you will see an increase next month, but not near as much as calling a plumber and clean up specialist to correct the issue. Turn the faucets on with cold and hot lines running just barely open. This will heat the pipes some and keep them from freezing. Think of how streams and rivers often don’t freeze – the moving water makes it harder to do so! Use Heat Tape on susceptible pipes. We didn’t talk about this in the video, but heat tape is relatively safe option for pipes that are near outside walls or look like they may freeze. Here again, an ounce of prevention is worth a pound of cure. Not sure what heat tape is? Home improvement stores likely stock something like THIS. Know where your water shut off is. In the video above, we talk about how to shut off your water. Locate your main water line and know where to shut it off. The house side is the most logical, but either will work in a panic. This is only done when you KNOW a pipe is an issue or has frozen, and is intended to stop further damage. The best thing you can hope for now is to stay warm, and be thankful you have a roof over your head. The inside of your house may be chillier than you like at times, but it looks to be comparatively warm by the weekend again. Heck, you might even break out the shorts after this is all over! Listing your home, give it a “Awe” moment! The “Awe” Moment starts with Curb Appeal! 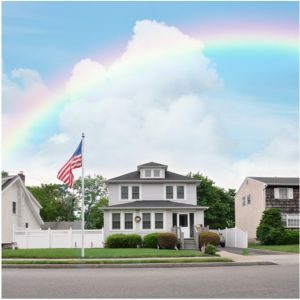 “Awe” moment, curb appeal, make your neighbors envious of your home prior to listing it for sale. Homeowners are responsible for the quality of their home with the maintenance and care that they provide for the building throughout the year. Every home requires a specific amount of upkeep to ensure that it maintains its value and has a high level of appeal. To keep your neighbours in awe of your home, there are a few important steps to take to allow it to stand out in the local area. The curb appeal of your home is one of the most important features of the property. It determines how much it stands out in the neighbourhood. A fence can enclose your yard. It prevent animals or those passing by from walking on the grass. The fence is also considered to be an extra security measure. It can deter intruders from accessing the building if they attempt a break-in. To enhance the design of your home, chose a cast iron fence. It creates a contemporary design that looks high-end. increasing the value of your home with a perceived regal touch. You can also add a white picket fence, classic with its style and will look timeless in future years. The mailbox is one of the first features of the home that is noticed by your neighbours and should be updated. If your mailbox is worn or the letters have faded, consider installing a new box that has fresh paint. Be sure it is visible for the mailman and prospective buyers as they pass by your home. Choose a mailbox that matches the style of your home. Be sure that it blends in well with the property. You can also install a new mailbox on the front porch to make it easy to access and visible from the outside. The colour of your home will determine the appearance of your property. This makes it important to paint the exterior with a fresh coat of paint that allows the home to look updated. Consider choosing a neutral colour that blends in with the rest of the houses on the block to ensure that it doesn’t stand out or look awkward. Using a bold colour can cause it to lose its value. The trim or paint on the shutters should complement the main shade of the home. Recently, I and co-realtor decided to paint the front door high gloss fire engine red. We also added a brass mailbox on the wall next to the door. The home had been on the market for 3 months without one offer-no interest to say the least. Once the door was painted passer-byes on this busy street took notice. Within 2 weeks the home was sold AT list price. It stood out from all the rest, but in a pleasant way. The “AWE” starts at the curb it peaks the interest but stop there. Be sure your home, the house you want to list and sell continues to overwhelm your prospective buyers. When sump pumps were first installed, little attention was paid to the cover itself. Which makes sense: who cares about a little water in the bottom of the basket? 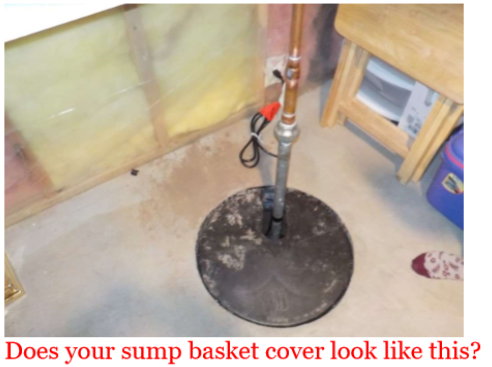 Especially when the problem being solved by the sump pump was a flooded basement. With a cover that is not air tight, moisture and other contaminates such as soil toxins and radon gas can enter the living area. More important than all that is the fact that when covers are not screwed in place, children or pets can easily lift out one of the old style covers. They can then fall into the basket, and have a very difficult if not impossible time getting out. 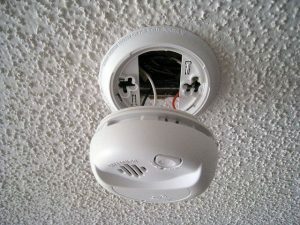 How safe are your smoke detectors REALLY? When buying a new home, many people change the locks after they move in, check and replace the furnace filter, and sometimes they update the smoke detectors. Small things like this make us feel safer in our home, but are you really sure you’ve made the right choice to protect your family? How safe are your smoke detectors? How to Select a Contractor for a Large Home Project. Sometimes you need to spend big money on your house. 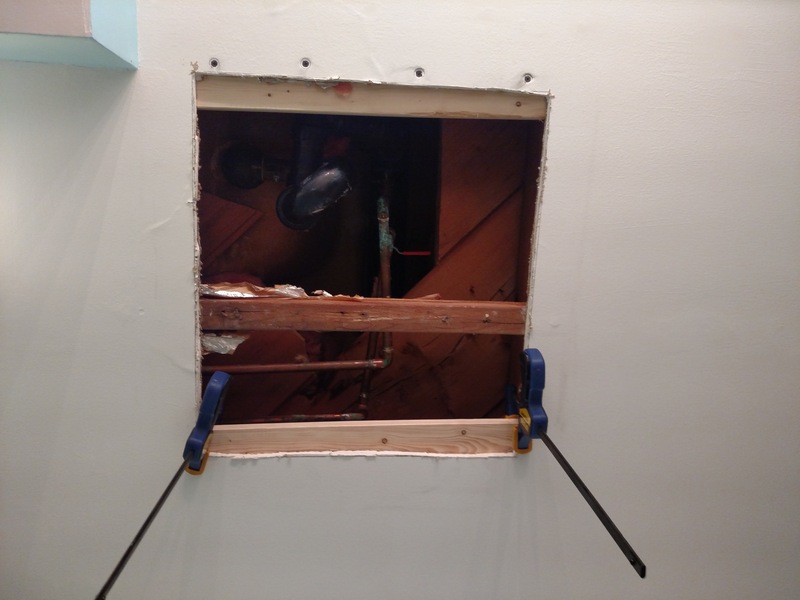 In the case of a storm it may be paid by insurance, but sometimes, you need to replace an aging mechanical system or other part of your house and the responsibility is all yours. It can be intimidating to go through the process of selecting a contractor for a home project like this, because the job probably isn’t inexpensive, and the whole process is a disruption in your daily life. Whether you’re talking about replacing a furnace, remodeling a room, or adding-on, you should consider this a guide for how to go about the process and what to consider along the way. The boiler shown here was original to the home and in need of replacement after 50 years of use. In this post, we’ll talk about how you should go about each of these to make sure you get the best work possible at a price you can be happy with. Just like buying a house, being an educated buyer here ensures you get the best work at the best price available. Before you jump in to getting bids, it helps to know what you can expect. 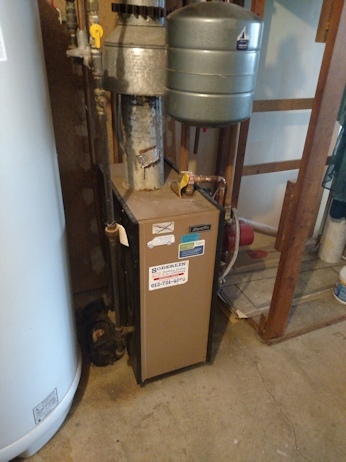 For this example, let’s consider a the purchase new furnace and install, but you can translate this into an addition or a new roof pretty easily. Start by finding out what is currently installed and consider how it’s working for you. What are the specs of what you are replacing or improving (size, power, model number, name etc.)? Are you replacing “with kind” or are you looking to dramatically change characteristics? If you are going to a high efficiency furnace from a standard efficiency unit, the wiring, plumbing and layout may change significantly. Get estimates of cost using estimators like HomeAdvisor and their True Cost Guide. You may not start out knowing all of these items, but at least a little familiarity will help you in dealing with contractors, and your confidence in your ultimate decision will go up over time because of it. If you can, spend some times looking into the current technologies and do a little reading on the internet – it can really payoff in the long run. 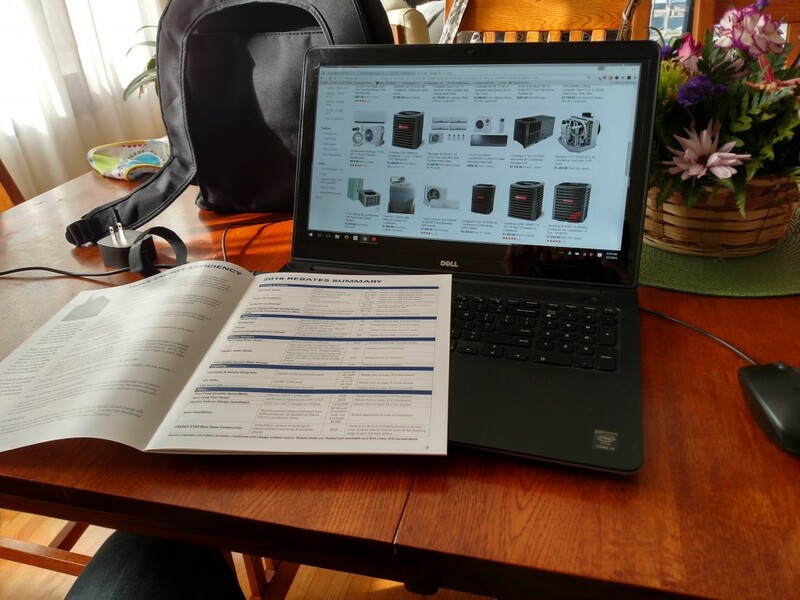 Using Google, you could search “best high efficiency furnace” and come up with a search that leads you to additional questions or answers some of your basic questions. Ask for Recommendations on Facebook or other social media sites. *Experience shows to exercise caution on coupons – more on that in the next sections. Once you have a list of names and contacts, it’s time to arrange bids. Depending on the job, a bid can take 30 minutes to a couple of hours – someone will usually need to be present, especially if the job requires the estimator to get in the house. Be Present – you don’t need to hover over their work, but check in and ask questions. You wouldn’t make another large purchase and let the transaction happen behind your back would you? Ask WHY – why does the company or technician prefer a certain product or method. Gauge Professionalism – Does the company take pride in their work. Does it show in their uniform, vehicles, tools? Are they on time? Do they take off their boots or wear shoe covers? Pay attention to what they say and do not say – if the estimator says “I forgot” or makes any excuses for anything – can you honestly count on them to do the best job? Determine what, if any, of the work you will be responsible for – Do you need to arrange for any portion of the work or permitting process? It’s unlikely that you would have to arrange for the above, but knowing weighs into your ultimate decision. Ask about available promotions and rebates – this is especially important when installing high-efficiency appliances/materials in homes. If you have a coupon, don’t mention it now. Get a timeline – how long does the work take? When could work start? What can I expect? Ask for References – in today’s digital landscape, this may not be strictly necessary, but how they respond should tell you how likely you are to find a GOOD reference. In the next section we’ll discuss online reviews. How many bids should you get? That’s up to you, but I would say not less than 3 estimates in your hand is ideal to make an informed decision. More can be better, but even three in hand means you likely called half a dozen contractors. Your bids should fall in line, and generally be within a reasonable price range. You COULD eliminate high and low bids, or just high bids, but it helps to know WHY those bids might differ. Is every person offering the same kind of work or specs? How do they plan to go about the work? Are promotions or coupons reflected in the work? In my experience, installers offering coupons often inflate their prices and drop them to a more normal range via a coupon. In most cases, you don’t even have to mention the coupon you saw in the mail as it will be added to the bill. Most installers/contractors will also offer a discount for cash or check payment in full – actual amount may differ by contractor. What guarantees or warranties are in place on work and materials? In the case of building projects, determine how materials surpluses are handled. Can you expect a credit for overages? In today’s digital age, you could select a contractor for a large home project just buy looking at their google reviews and ratings, and while it might be tempting to do so, it’s worth digging a little deeper. What is their overall rating score? How many reviews do they have? How does the company RESPOND to negative reviews? What is their social media presence? Good contractors are not always good social media managers, and that’s fine, but if there are very few reviews and a high score, that deserves a little more digging. If they don’t respond to negative reviews, or get snarky and unprofessional, that says a lot about that company to a consumer. If they ARE active on social media, all the better, but sometimes that may be all there is, especially with a new company. In that case, it’s important to be aware of a companies age. With the other portions of your decision process done, you can focus on the timeline. Determine when the work can be done – if you’re talking about heating and air conditioning, or a new roof following a storm, you may have to wait a little bit before work begins. If someone else can get you in sooner, that may matter more than the bottom line price of the estimate. How long will the work take? Some jobs could take a part of a day; others might take weeks or months. You should already have an idea of this, but if one contractor is suggesting taking a lot more or less time than the competition, you might want to know why. After selecting a contractor and setting a date for work to begin, make sure you need to know what preparations should be made before hand. Do you need to remove furniture or will the provider do that? Is there anything you need to arrange for in terms of permits, dumpsters, etc? Does someone need to be present the entire time work is completed? What additional cleaning or moving of items will make the job go smoother? Congratulations! At this point either the work is done, or soon to be done. You’ve determined how you are going to pay for this large home project, and based on what you know, should be pretty comfortable with your decision. The time to enjoy is soon, but there are a couple additional items to consider. Because this is a large job, your contractor wants to ensure they get paid. Often they have ordered materials well in advance of your job, and they have scheduled others after you so don’t have the opportunity to re-schedule easily if you back out. Many contractors protect themselves with something called a Lien. 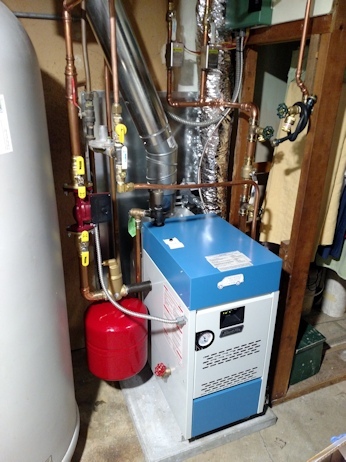 A new boiler installed after research, multiple bids. Ready and waiting for a city inspector to close the permit. In short, someone places a claim on the value of your house. This is called a lien, and if placed by the contractor, should be for the amount of the estimate including materials and labor. If you didn’t pay up, then they can collect on this at a later date. When you go to sell your home some years down the road, this can be an issue that needs to be dealt with, or you can ensure you document your complete and full payment to avoid this. Get everything in writing, and document checks written, dated invoices, completed work, etc. Request a Lien Waiver. Save this with other documentation in your important records. If you are planning to do work immediately before selling your home, you may need to provide these to the title company to close the sale. Before paying, ensure that the work is done to your satisfaction and as written. Many projects require permits to be pulled and closed. Verify if this has been completed and any inspections done or scheduled to be done. As a homeowner, it can sometimes be helpful to know how to repair drywall yourself. The primary reasons for this could be damage incurred while moving furniture, replacement of a window or door, cutting current drywall for a new light fixture, etc. Then there are more pressing needs such as water damage from an adjacent room, window left open, or other less desirable reasons. 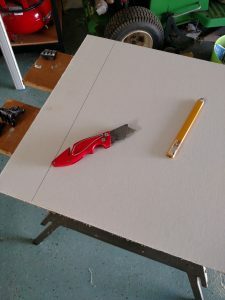 If you choose to do drywall repair or replacement yourself, rest assured it is a simple and inexpensive project – for a small area (under 8 square feet) you will likely need only about $20 in supplies, plus whatever paint you choose to finish the job with. In this blog entry we’ll talk about what you need and how to do it. All you need is a little time, patience and a little attention to detail. Handi-Panel or sheetrock (gypsum) panel – You can buy these as 2×2 feet or standard 4×8 foot and cut as needed. Before starting, it’s a good idea to close off the space you will be working on and remove or cover anything you don’t want to get dusty or dirty. Cover the floor you will be working on with poly or a another covering such as a drop cloth or old sheet. 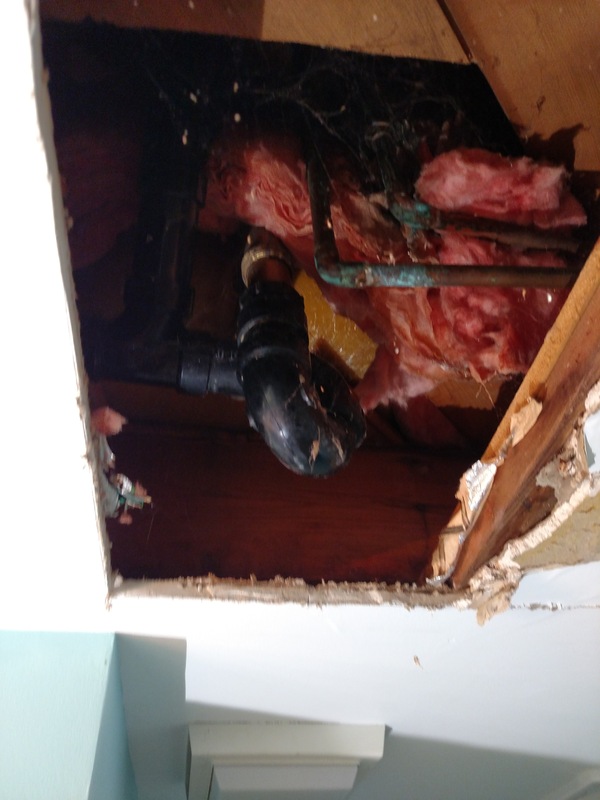 In this example, the drywall being replaced is from a ceiling below a bath tub where the fixture was leaking behind the valve, so some of the drywall that came down was damp. Dust from sanding will also be an issue if not properly managed. 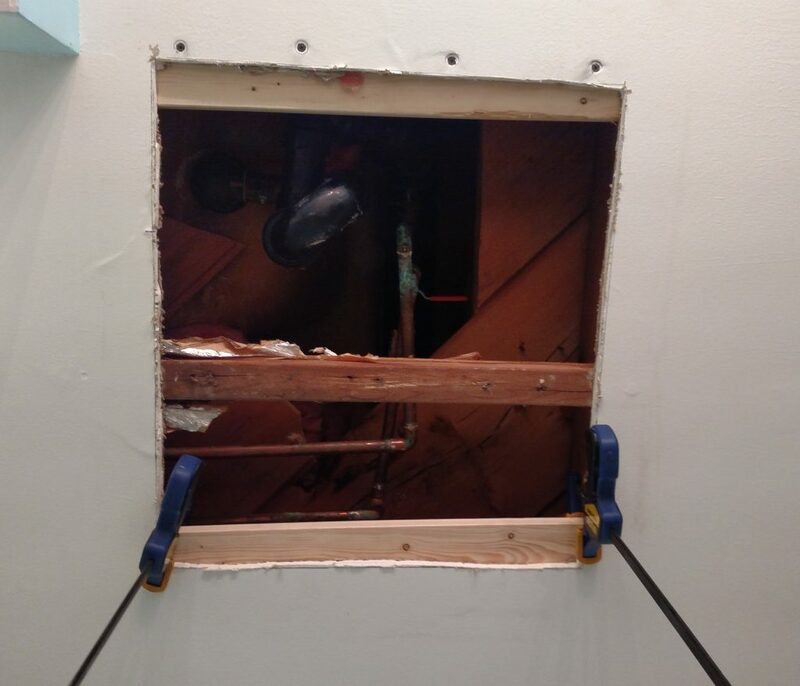 The section of drywall removed here was damaged due to a leaky bath tub faucet above. Notice the p-trap and copper piping; small amounts of water were able to drip from the faucet and damage this section. Determine the section to cut and mark it out using a straight edge ruler or square. Cut away the damaged section of drywall. I chose to do this with an oscillating multi-tool with a cutting head). Take care to cut as cleanly as possible, but don’t overthink it; you can patch small errors with ease. 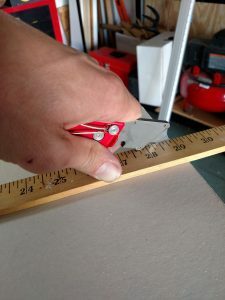 If your cut is close to a stud or nailer, but does not expose it, consider cutting a little further so you have a good surface to fasten the new panel to. Measure the thickness or depth of the existing gypsum board as well as the size of your newly formed hole. – 1/4″ – generally used in curved applications, it is not common but may exist in some homes and is available but hard to find at most stores. – 3/8″ – more common in older homes and widely available at most home supply stores. – 1/2″ – This would be considered the most standard thickness and is widely available. – 5/8″ – Usually found in ceilings, and often of a fire resistant form. This is less likely to be found at a home supply store, and more likely in a drywall supply store. 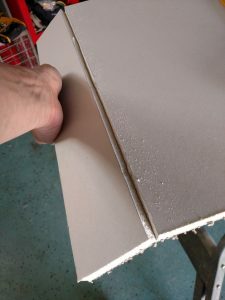 Using a piece of 1×3 or 1×4″ pine, create atrip to attach the new gypsum panel to. 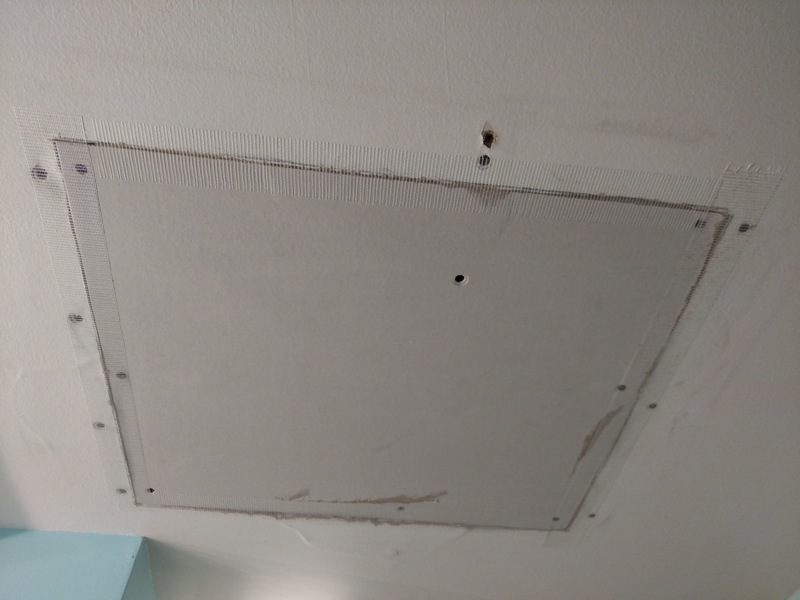 There are two ways to affix the new panel – Here I have screwed a strip of wood on either side of the opening to secure the panel to; the other option is to use Drywall repair clips – allowing you to anchor a screw into the existing drywall without a more substantial support. Check the fit and trim excess away with the utility knife or by shaving the surface with the knife perpendicular to the edge. Mark your lines using a pencil or felt tip marker. 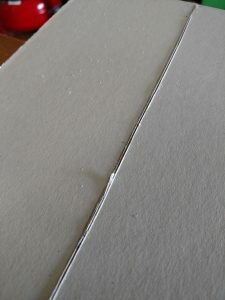 Snap the piece downard along the score line and revers to cut free of the paper backing. Anchor the wood strips to attach the new panel if using. 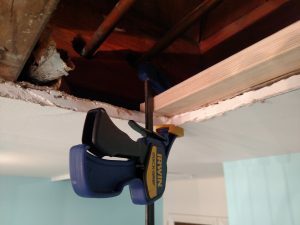 Using wood strips, anchor with a drywall screw to the existing gypsum. The new panel is secured and attached with screws; fibal tape is applied to the edges prior to the first coat of joint compound or mud. Apply tape to the seam and begin mudding your drywall. I cannot do better than to recommend this video as it truly is an art form. Less is more – do not apply too much mud, or over work it. Aim for 2-3 coats ideally. Blend joints by extending past by 6-8 inches. Clean your tools in between and ensure they are dry. Use a flashlight shined along the wall’s surface to detect irregularities. When you are satisfied with your joints, apply a coat of primer or your first coat of paint. At this time if you discover any imperfections, dips or divots, you can still add a small amount of joint compound and sand to correct before painting. Congratulations, you’ve completed your first drywall repair! Homeowner’s Fall Checklist – Get ready for winter! With the weather turning cool, your thoughts may turn to all things pumpkin, football, long sleeves, apple orchards, and all sorts of other autumn things. While you’re at it, though, consider this list to make sure you and your home are ready for cooler months ahead. Take a walk around your home and inspect the exterior – paint, patch, repair or caulk any openings that shouldn’t be there to protect your home and keep it warmer. Clean your gutters – in climates like Minnesota’s where winter is sure to come, this prevents ice dams as well as pest infestations and those little trees that grow in some people’s gutters. Check storm windows/doors for proper function – tighten any loose components and make sure any door closers and safety chains are working correctly and well-secured against winter winds. 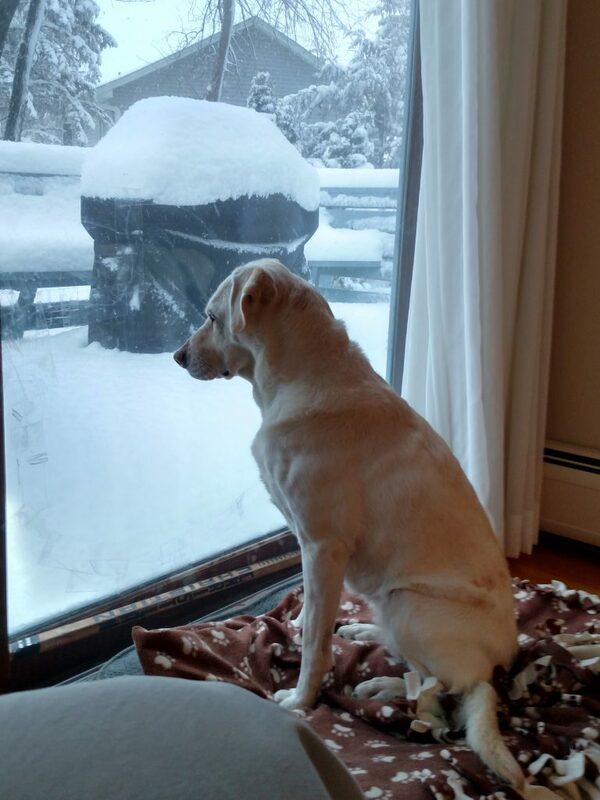 Clean your windows outside and in (I make my own using this recipe): you’re going to be looking out of them more often over the next few months, and they look great if you entertain for the holidays. Prune trees and vegetation away from siding, windows and roof to protect paint and materials, as well as prevent any limbs falling on the house in the event of an ice storm. Preparing now for cooler, OK, COLD months ahead means you can enjoy the winter in the comfort of your home where is is warm, rather than drafty or expensive to heat. Have your heating system inspected and serviced. Stock up on furnace filters and replace monthly or as recommended by furnace manufacturer. Inspect weather stripping and repair or replace where air is able to get in such as windows, doors, pipes, wiring or vents enter and exit your home. If you have older windows in your home, consider using window insulation kits. These easy kits just require a hair dryer and scissors to install and prevent drafts in cold temperatures. Following this homeowner’s fall checklist is an easy way to save money and be more comfortable in your home this winter. Do you have any thing that’s part of your regular fall maintenance at home? Let us know in the comments and we may include it in future posts or updates. What’s an iBuyer and why does it matter? Erik Laing – An Expert in Eagan and ISD 196 Real Estate.